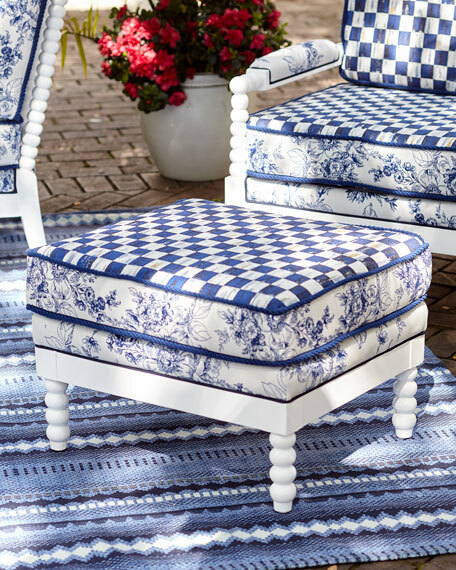 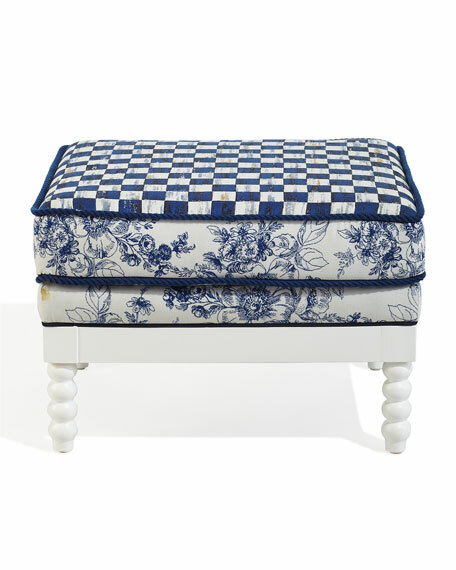 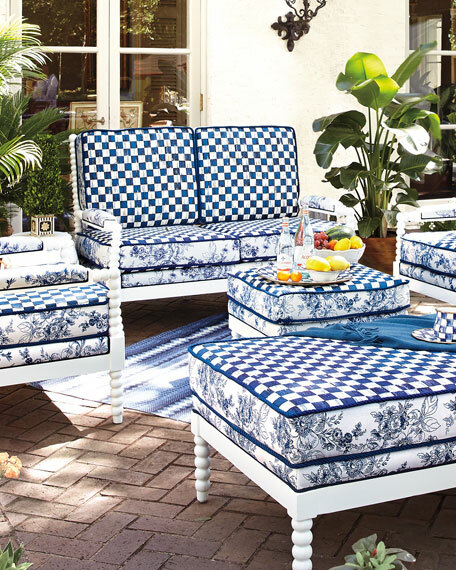 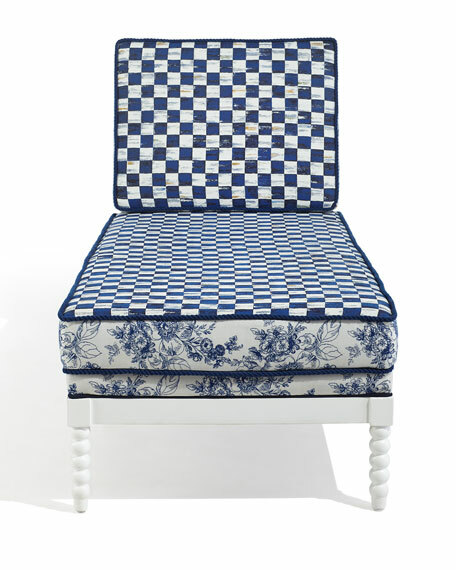 Handcrafted outdoor ottoman in floral toile and checkered pattern. 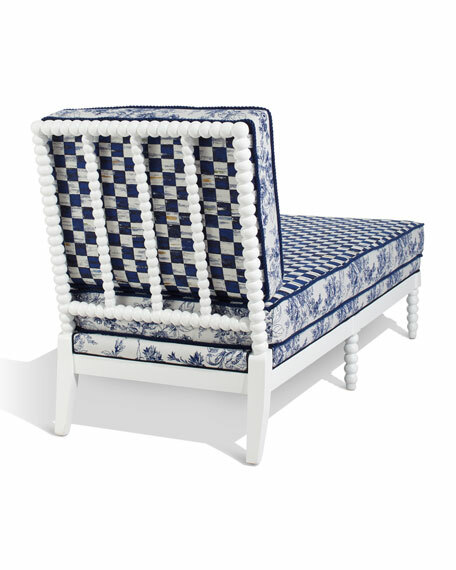 Only requires light cleaning and little to no maintenance. 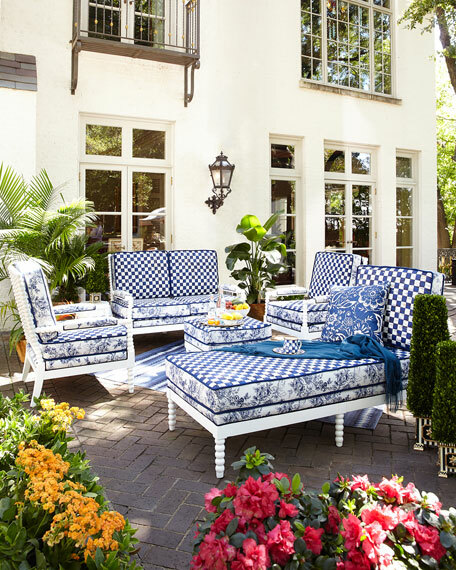 Cover when harsh climate or not in use. 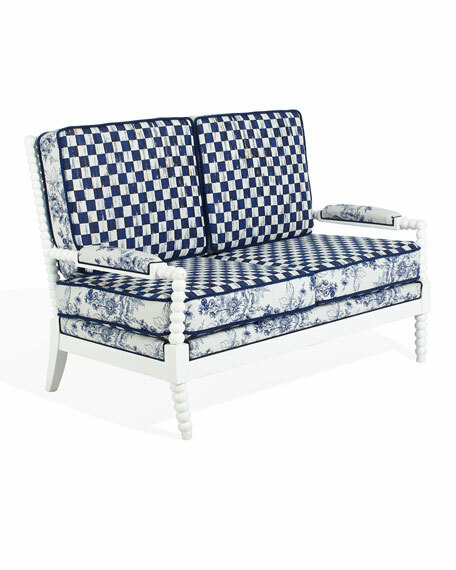 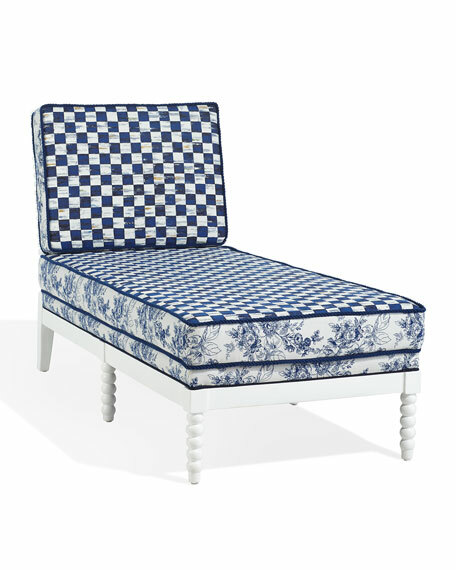 Overall, 25"W x 21"D x 18"T.
Handcrafted outdoor chaise in floral toile and checkered pattern. 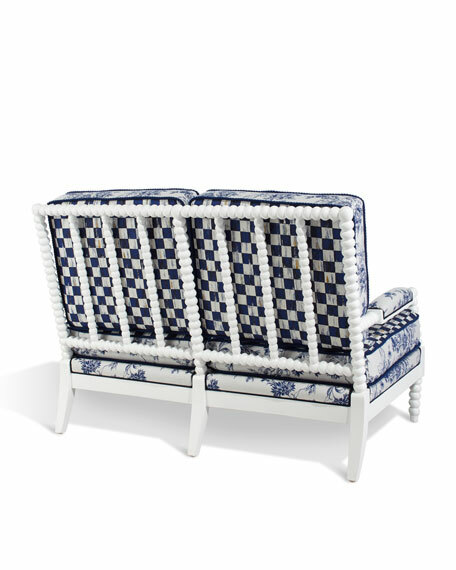 Plastic frame; only requires light cleaning and little to no maintenance. 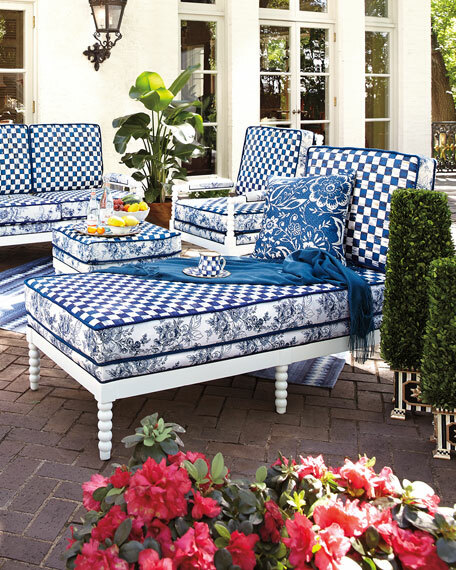 When harsh climate or not in use, please use cover provided to maintain good condition. 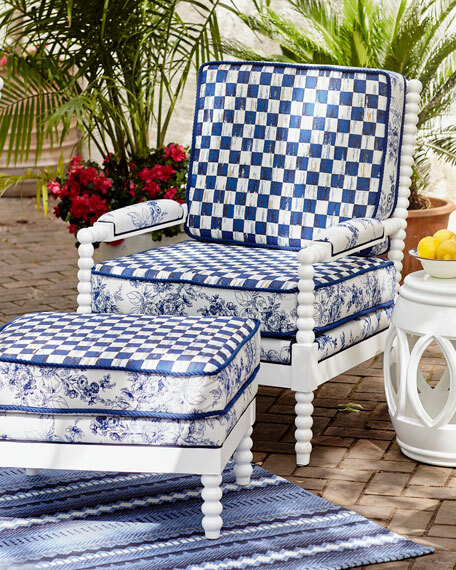 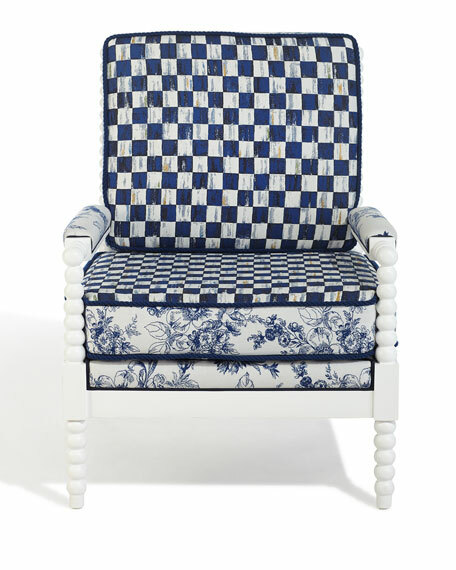 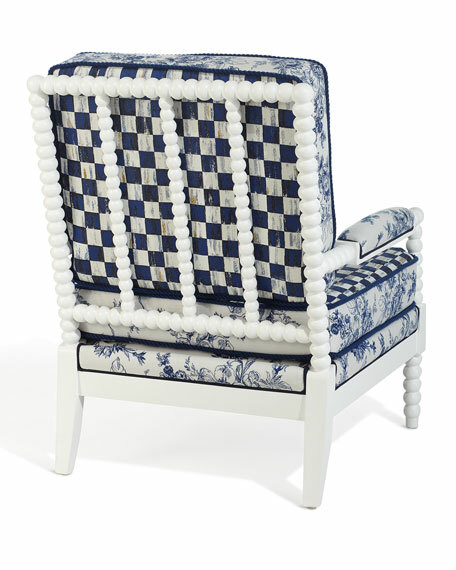 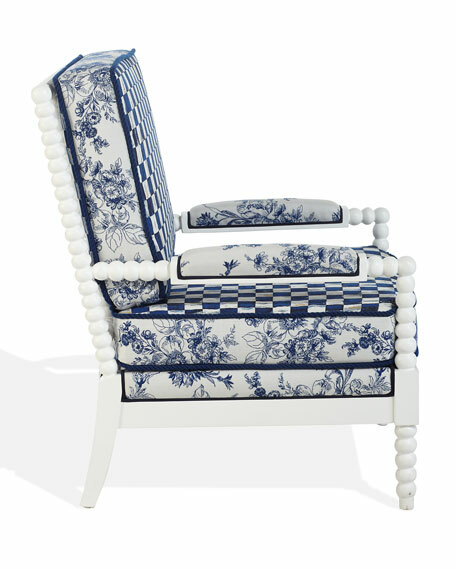 36"W x 63"L x 37"T.
Handcrafted outdoor chair in floral toile and checkered pattern. 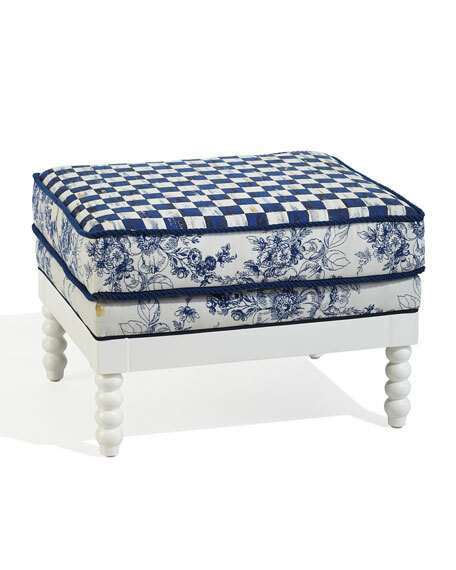 Light, little to no maintenance cleaning. 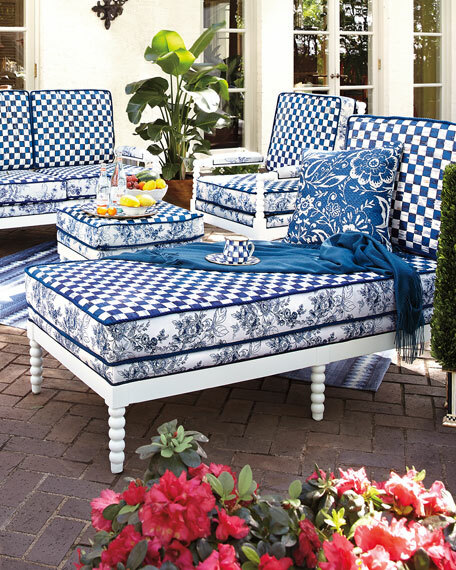 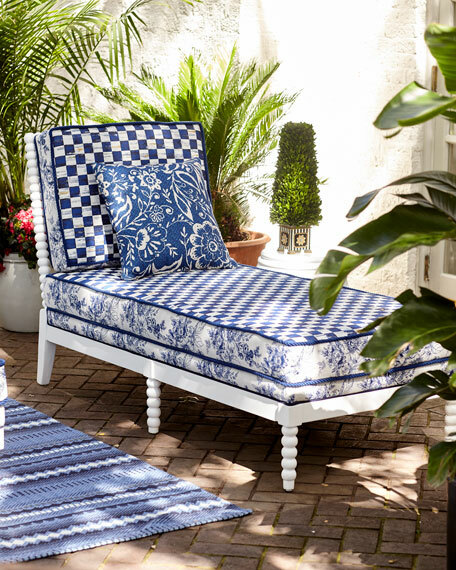 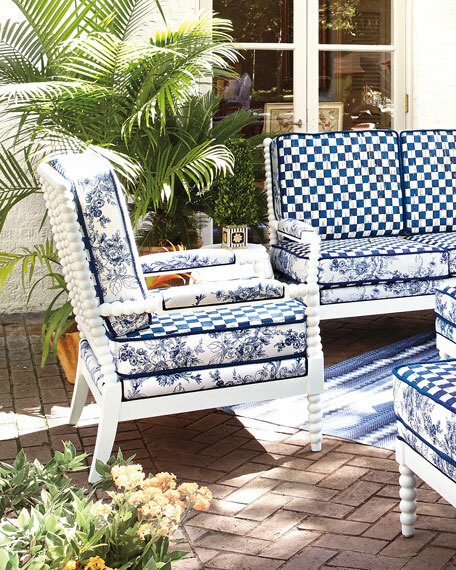 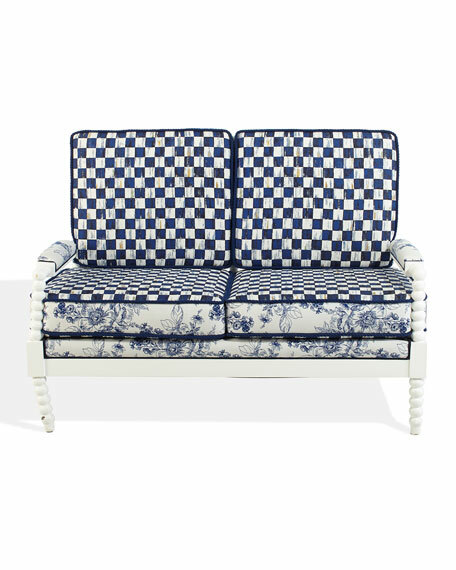 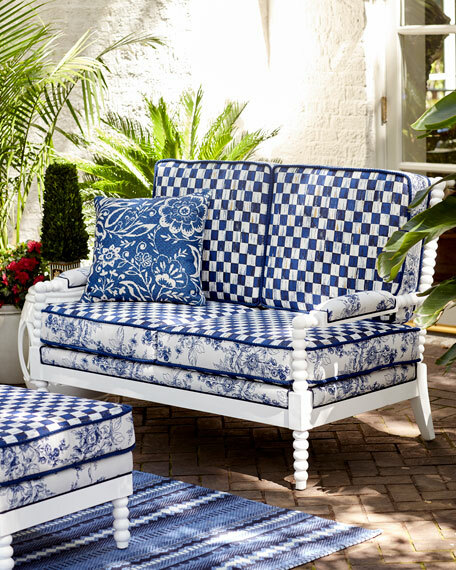 32"W x 38"D x 40"T.
Handcrafted outdoor settee in floral toile and checkered pattern. 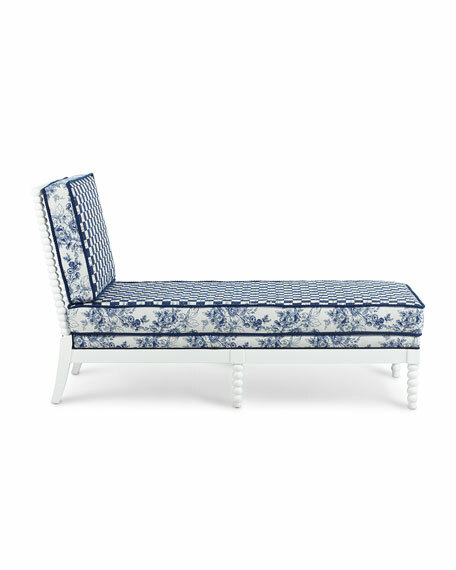 36"W x 55"L x 38"T.